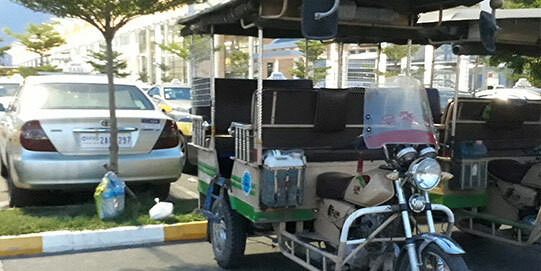 Departing, arriving, waiting, or in transit, siem reap airport is part of your journey. This website belongs to Cambodia Airports (hereinafter mentioned as CA) and it is operated by its Non-Aviation Commercial Department. The Service Policies here included rule the relation that is established between CA and the Website user. Such policies may be subject to change whenever CA considers necessary. In case CA decides to change such Service Policies, the new version shall replace this one. The new version shall be in force as from the date it is published on this website, and the relation between CA and all users shall be ruled by the new version. We advise you to visit this page of our website regularly, to ensure you are aware of the Service Policies in force. Note that CA also reserves the right to change the contents of this website at any moment. By using this website, the user tacitly agrees to the terms and conditions of use that are mentioned hereunder. In case the user does not agree to all those terms and conditions, he should not continue to use this website. 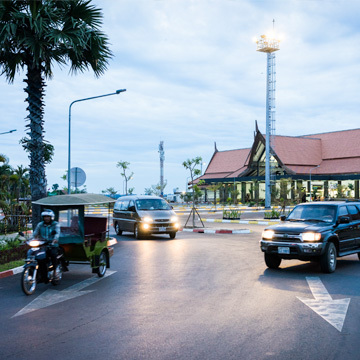 The objective of the website is to provide commercial and operational information considered to be relevant for the users of the airports of Phnom Penh, Siem Reap and Sihanoukville. All intellectual property rights related with the information made available on this website, including but not limited to text contents, headlines, photos, images, moving images, pictures, names, logotypes and brands, belong to CA or to possible licensees. CA making available such information does not transfer to the user, in any case, the right to reproduce or distribute such information. Such actions are not allowed without the previous consent of CA or the above mentioned possible licensees. Nevertheless, the user is authorised to download and/or print out the information for private and non-commercial purposes. This website cannot be shown embedded in other websites that do not belong to CA. 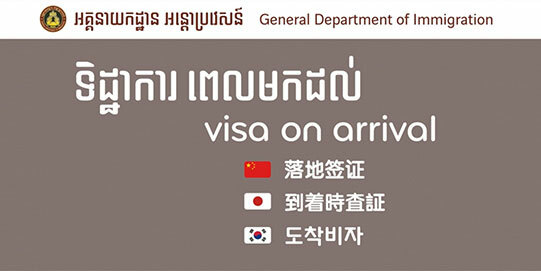 Nevertheless, the user may create and distribute links to the pages of www.cambodia-airports.aero. CA reserves the right of accepting such links or not. The website and the mobile version of the website www.cambodia-airports.aero may contain advertisements (including banners), promotions and other contents supplied by third parties, including the retailers. All advertisements, promotions and other contents (including the reference buttons and hyperlinks) do not constitute any recommendation or endorsement from our part regarding the promoted good, service, or final website of the link. 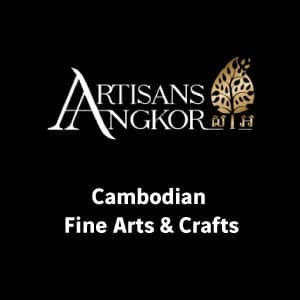 All information provided at the advertisements or the final websites of the links shown at www.cambodia-airports.aero or its mobile version are of the exclusive responsibility of the advertisers. In case the user shall need any clarification regarding any advertised product or service, should contact the related advertiser. 3. Competence or authorisation of the advertiser, retailer or third parties to sell such product or service. Even so, CA requires advertisers, retailers and third parties, recipients of the links, to sign Service Level Agreements, therefore minimising the risks for our users. The website www.cambodia-airports.aero may contain links to other external websites operated by third parties, including retailers. The websites to which such external links correspond to are not under control of CA, which does not assume any responsibility for the contents of such websites, or the provision of any goods or services the user may acquire or hire on any one of such websites. CA may not ensure that the contents of any third party website are accurate, legal or harmless. Some external websites may be shown in the website www.cambodia-airports.aero through frames, whether including some of our website contents or not, or include reciprocate links to our website. Such resources are available only for the convenience of the users and do not constitute an endorsement to such websites or their contents. CA may, at any time and based on the criteria it may deem appropriate, terminate the access of the user to the website www.cambodia-airports.aero. CA develops its best endeavours so that the information contained on this website is accurate and complete. Even though, CA may not, explicitly or implicitly, guarantee that the information contained in this website is complete and accurate, or that the website will not be subject to delays or interruptions. The website users implicitly agree not to hold CA responsible for any direct or indirect loss arising from the use of the information contained therein. Similarly, CA shall not be liable by the services and/or products offered by third parties through this website. CA does not claim or ensure that the use or access of the user to www.cambodia-airports.aero shall be uninterrupted or free from errors, or that the availability of the material in this website shall be free from virus or bugs. Using this website takes place at the account and risk of the user. Users assume full responsibility and risk for any losses arising from the transfer, use or access to data, information and other materials on or through the website www.cambodia-airports.aero. 2. All implicit conditions, guarantees and rights are excluded. Particularly, CA does not guarantee the accuracy of the information provided, or the integrity, reliability or fitness for a specific purpose, of the contents of this website. Except as above mentioned, CA shall not accept any liability for any direct, indirect or consequential damages, losses, damages or inconveniences suffered or incurred by any person arising or related with this agreement, the website, any use of this website (including any operations carried out through this website), the trust on any content of this website or by the acts, omissions or conduct of any advertiser on www.cambodia-airports.aero. 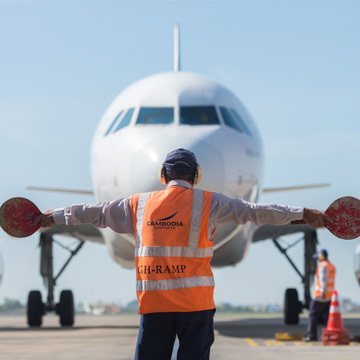 CA, as well as the retailers present on www.cambodia-airports.aero are not accountable for delays or contractual breaches due to force majeure, disturbance, total or partial strike, flood, fire or war. The agreement between the user and CA, based on these terms and conditions, shall be ruled and construed according to the Cambodian law. The user undertakes, irrevocably and unconditionally, to submit to the non-exclusive jurisdiction of the Cambodian court, regarding this agreement. The following are the Privacy Policies of the website www.cambodia-airports.aero. Users may visit our website anonymously. In order to understand their objectives and improve their experience, we also collect data on the pages our users visit. The information we collect, either public or private, shall not be sold, traded, transferred or given to any other company, for any reason, without your consent, except for the express purpose of allowing the requested services to be performed. 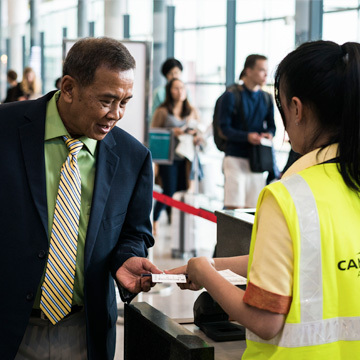 If necessary, CA may allow access to your information to trusted parties that help CA in operating cambodia-airports.aero and help serving the user. In such case, the partners undertake to keep such information confidential. How do we protect users’ information? We implement a set of safety measures and methods to keep our users personal information protected, when they make a request or access their personal information. CA does not sell, trade or transfer to third parties the personally identifiable information of the users. This does not include the case of trusty third parties that help CA in operating www.cambodia-airports.aero, and help serving the user, as long as the partners shall agree to maintain such information confidential. CA may also disclose your information in case that is necessary to enforce the law, to enforce our website policies, or to protect our property or security rights, or the property or security rights of others. Non-identifiable information on visitors (such as, for example, use statistics) may be provided to third parties for marketing, publicity or other purposes. According to the provisions of the law in force, www.cambodia-airports.aero users are entitled to have access, correct and cancel their information. © 2018 Cambodia Airports. All rights reserved.